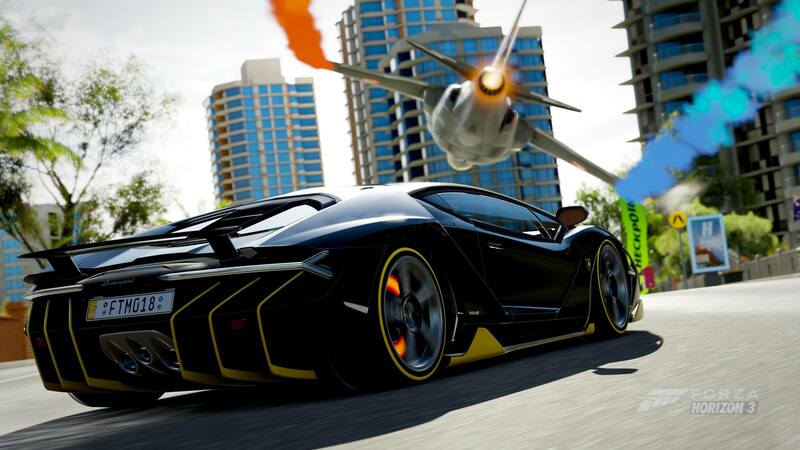 Forza Horizon 3 launched as the masterclass of open-world racing when it debuted on Xbox One and Windows 10 PC in September 2016. It took the Horizon Festival to Australia for the biggest and best one yet, featuring the most dazzling visuals to be found in a racing game of its kind, whilst also offering one of the best car rosters out there, and a large, diverse open-world for you to explore with your mates. Forza Horizon 3 delivered hours and hours of fun, and it continues to do just that. With the release of the Xbox One X Enhanced version of the game, I’ve returned to the Horizon Festival in Australia, as well as its branches across Blizzard Mountain and Hot Wheels Thrilltopia, and have once again become immersed into the beauty and action-packed fun of Forza Horizon 3, but this time in 4K resolution on Xbox One X. This upgrade is one of the most significant we’ve seen on Microsoft’s console yet, as not only are fans treated to a native 4K resolution, but there’s also a variety of other graphical improvements and enhancements, making this the ultimate fan-service for those still playing Forza Horizon 3 or returning to the Horizon Festival once more to experience the dazzling new visual upgrades. The Xbox One X Enhanced Update for Forza Horizon 3 is all about pushing visual quality. 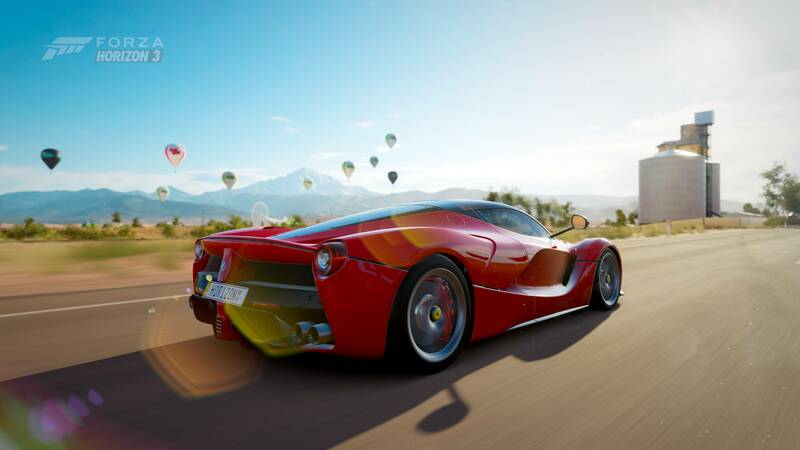 On Xbox One X, Forza Horizon 3 pushes the boundaries by offering a host of visual enhancements such as improvements to car reflections and shadow resolutions, increased texture quality for road and terrain surfaces, and the biggest surprise – improved draw distances with an increase in render detail and level quality. Combined with the resolution upgrade and the game’s excellent implementation of HDR display technology, this is a real visual treat and pure unmissable eye-candy. The improvements made to the game’s draw distance and render detail stood out immediately, it felt like an entirely different open-world when I first started playing it. When driving towards the Great Ocean Road, I could clearly see the beaches leading up to Byron Bay and The Twelve Apostles. As you approach Surfer’s Paradise, the towering city skyscrapers are visible even from a distance, whilst in the Rainforest and Yarra Valley, the fields of trees are visible for miles ahead, and the terrain detail looks astonishingly lifelike. The realism offered by the Xbox One X Enhanced version of Forza Horizon 3 makes this open-world racer well-worth your time revisiting – it’s stunning. Higher polygon models for trees and vehicles now spring into view at a further distance. Despite all of the new bells and whistles offered by Forza Horizon 3 on Xbox One X, the game still retains its excellent form of anti-aliasing – 4x MSAA, and texture detail is crisp and clear thanks to the impressive use of 16x anisotropic filtering. It makes Forza Horizon 3 and its textures appear crystal sharp on Xbox One X, regardless of the TV you’re using, and it still manages to achieve slightly faster loading times than base hardware in the process as well. Of course, for those on a 1080p display, Forza Horizon 3 still renders a native 4K image, but it’s super-sampled down to match the output resolution of your HDTV. This delivers the highest level of visual fidelity possible for 1080p displays, improving image quality across the board with sharper and crisper assets appearing on screen. On top of the excellent use of 4x MSAA in Forza Horizon 3, the super-sampling technique on 1080p TVs also acts as a form of anti-aliasing, helping to further reduce “jaggies” around the edges of objects and other staircasing-like effects. Car reflections on Forza Horizon 3 now match the highest setting on Windows 10 PC. For those on a 4K display, however, you’re in for a real treat – especially if you have one which supports High Dynamic Range. Forza Horizon 3 blossoms when played in 4K HDR. For me, it’s become the new definitive showcase title of a 4K display alongside the likes of Forza Motorsport 7, Rise of the Tomb Raider, and The Witcher 3: Wild Hunt. It’s not surprising though, given the game’s use of the ForzaTech engine and the team’s strong relationship with Turn 10 Studios, it makes sense that Forza Horizon 3 on Xbox One X would result in the most dazzling showcases for a 4K display like its motorsport-focused sibling. Having played Forza Horizon 3 unpatched on Xbox One X on a 4K display and now enhanced on that same 4K TV, the difference is vast. Forza Horizon 3 already looked great on my 4K HDR TV before the Xbox One X Enhanced update rolled out, but you could tell it was a lower resolution after playing Forza Motorsport 7 for hours on end. The render distance was also noticeably weak when compared to other open-world titles, and the lack of visual clarity when compared to Forza Motorsport 7 meant I only briefly played it until January 15th for the long-awaited Xbox One X Enhanced Update, and oh boy, was it worth the wait. Forza Horizon 3 is staggeringly beautiful in 4K HDR. With Forza Horizon 3 now taking full advantage of the Xbox One X with its native 4K output, it looks incredible. That means no checker-boarding, and no dynamic resolution scaling. It’s a locked native 4K image. Combined with HDR and its dynamic skies and weather effects, Forza Horizon 3 has become the ultimate open-world showcase of 4K resolution and the Xbox One X console. Never have I felt more immersed into an open-world game before, as it really takes this extra level of clarity, refinement, and render detail to truly appreciate the vast Australian landscape that developer Playground Games has crafted for Forza Horizon 3. Unsurprisingly, it was also one of the first games to implement HDR on the Xbox One S – which has been available since the game’s launch, and it’s safe to say that Forza Horizon 3 in 4K HDR is obviously the best way to experience it. The colours appear far more luminous and deeper in High Dynamic Range, especially when you gaze into the skies with such depth in the clouds as they transition between the game’s full 24-hour day and night cycle where rain could fall at any moment. In this regard, it’s even a step above Forza Motorsport 7, but you can tell the skyboxes used in the latest iteration of the more simulation-focused racing game were inspired by Forza Horizon 3. Heck, it’s safe to say a lot of open-world games out there recently have also been inspired by Playground’s masterclass efforts when it comes to building a game that’s all about beauty, fun, and freedom. 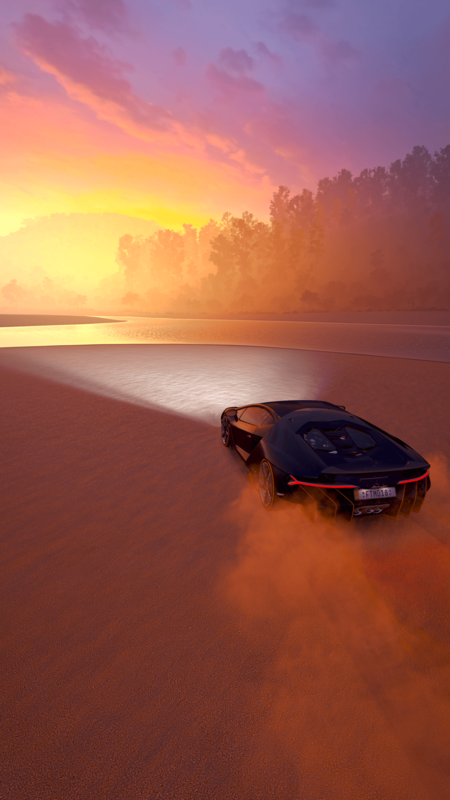 The combination of 4K and HDR shines in Forza Horizon 3, especially across the game’s stunning dynamic time-lapse skies which impact the overall scene no matter what you’re doing in the game. The improvements made to reflections and shadow quality – which now render in as staggering 4K resolution assets, also compliment this. 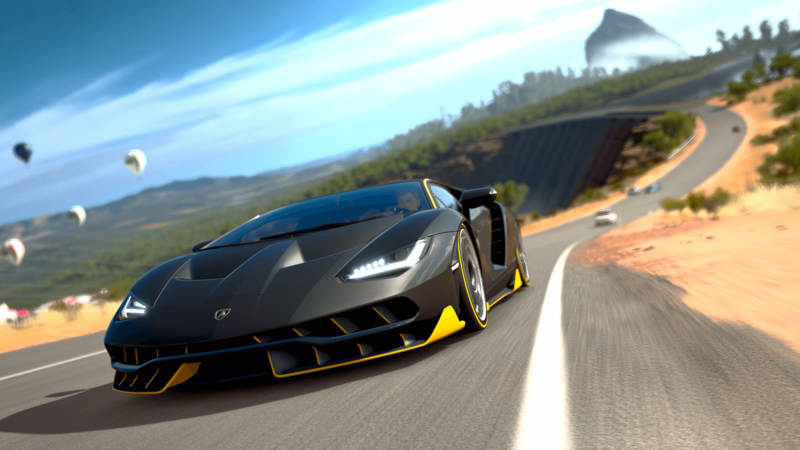 It allows Forza Horizon 3 to look and play the way the developer always envisioned it to. The Xbox One X is the only console on the market that enables these kinds of possibilities, and when you pair it with a 4K HDR display, the result is simply like no other. It’s a revolutionary leap in graphics and display technology, and Forza Horizon 3 is the definitive showcase for it. The increased horsepower of Xbox One X really benefits Forza Hoizon 3. The 4K and HDR implementation also shines across the game’s two post-launch expansions; Blizzard Mountain and Horizon Hot Wheels. 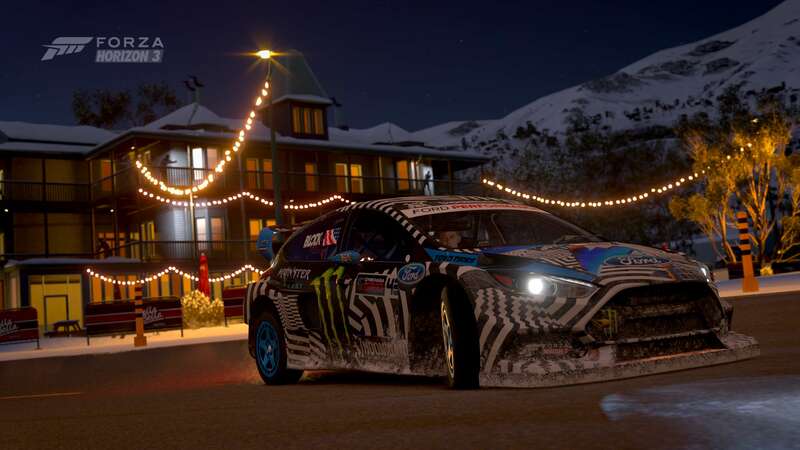 Blizzard Mountain introduced snow to the Forza franchise for the first time, with large elevation changes and a winter wonderland full of things to do and discover. In 4K resolution, the snow particles render at their highest quality pre-set, delivering both plush and powdery snow effects that simply can’t be found anywhere else. From the Baldwin Motorsports Trophy Truck ploughing through all the snow in its way to taking an Aston Martin Vulcan across the vast ice lake for some drift action before racing a classic Jaguar to the peak of the mountain before sliding it all the way down to the bottom off the beaten path. You can’t get much better than this. Blizzard Mountain is a real visual showcase and a testament to the incredible team at Playground Games. Like before, the dynamic skies and time-lapses allow for a living world, and the atmosphere can change at any given time with cloud shifts and snowfall, allowing for a varied and dynamic experience. 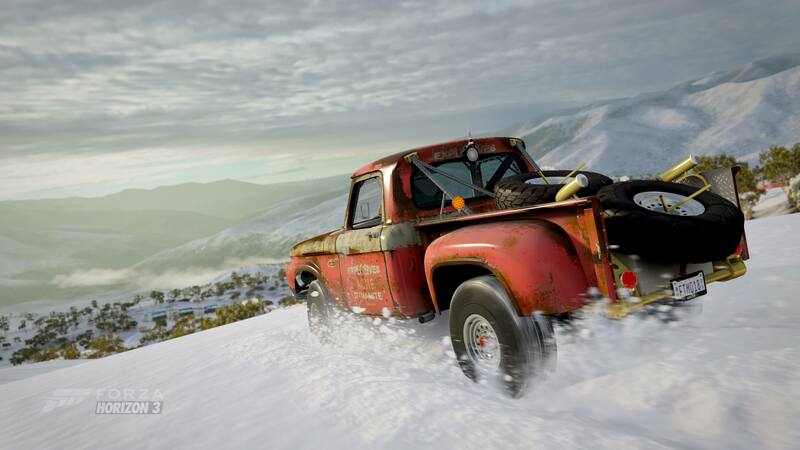 There’s also wild blizzards, resulting in high-intensity races and hillclimbs with low visibility – and it looks unbelievably good in 4K HDR, especially with the increased render distance and car detail which also plays a significant role on Blizzard Mountain. The quality offered by motion blur has also been increased, resulting in a smoother experience during those intense moments. Blizzard Mountain is jaw-dropping georgous in 4K HDR on Xbox One X, in both day and night. 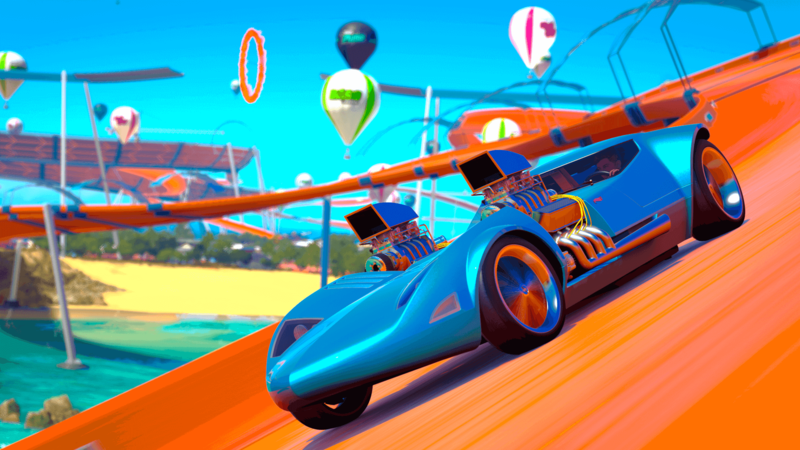 Hot Wheels was yet another instant hit for Playground Games when it debuted last May, and of course, it always looked incredible. The upgrade to 4K resolution really brings those orange and blue tracks to life, especially in native 4K resolution with the improved render distance, where you can see tracks way off in the distance in far greater detail than before. The six islands which make up Hot Wheels Thrilltopia have also never looked better, and as you drive past them at blistering speeds across the tracks that surround them, you’ll notice them in even crisper and sharper resolution quality than before – allowing you to really spot and appreciate those smaller details, and the work Playground Games has done to create an open-world centered around the Hot Wheels craze. Just be careful of the dinosaurs, however – as they might bite! Seriously, this expansion is a lot of fun when you start playing it, and in 4K HDR, it’s really brought to life as the track itself oozes that orange colour with a deeper effect and a more luminous shine across the surface. At night time, the bright lights built into the track shine brightly, and the beautiful lighting from the buildings in Thrill City allow for a stunning contrast between light and darkness. Combined with the improvements made to shadow and reflection quality, and you have the ultimate child-friendly automotive set in the digital world of Forza Horizon 3 to really show off how a 4K setup can be appreciated by anyone. The world of Horizon Hot Wheels is unique, fresh, and in 4K HDR, it’s utterly exciting and beautiful. Just be careful of your speeds, otherwise you may hit another Drivatar coming down the loop-de-loop and fall straight down into the ocean! Forza Horizon 3 Hot Wheels comes to life in 4K resolution with the extended draw distance. 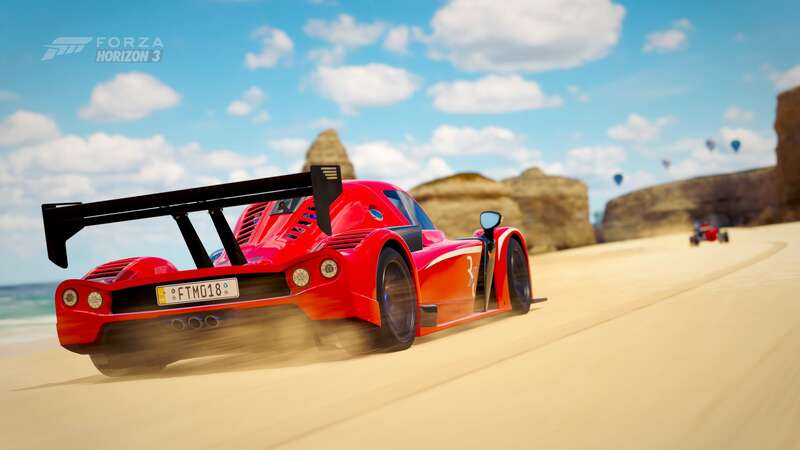 Another visual tweak in Forza Horizon 3 comes in the form of Photo Mode, which captures and saves images in native 4K resolution – whether you’re playing on a 1080p display or a 4K TV. This is a nice touch, as even if you haven’t made the upgrade to a 4K television yet, you’ll still benefit from crystal clear photographs, and of course, the added graphical benefits like the improved draw distances, which plays a big role in Photo Mode – resulting in greater detail in background scenes and more detailed objects present in the background. You won’t see fully detailed backgrounds all the time as it varies by location and where you are, but it’s a big step forward and one of the most appreciated visual upgrades in this release. Personally, I always struggled with getting a good shot by the dam in the Yarra Valley, but on Xbox One X, it’s no longer an issue thanks to the increase in render quality and the level of detail seen across the open-world map. It allows for far more photo opportunities, and the resolution increase results in a new level of clarity on pictures like those taken on Forza Motorsport 7. For ‘Forzatographers’ like myself, it’s a real game-changer and a pure treat to be able to capture native 4K photos in-game with high-quality visual pre-sets. The results are simply wonderful, and many of the photos I’ve taken have been included throughout this article. It was always a challenge to capture a shot by the dam in Yarra Valley. Not anymore. Another benefit of the 4K upgrade for Forza Horizon 3 relates to the level of detail on car models. All Forzavista models are rendered at higher quality thanks to the improved resolution, allowing for a greater level of detail when exploring cars up close and personal, as well as an added sense of immersion when driving in cockpit view. The lights from the dials and screens inside each car have an added level of clarity that’s only possible in 4K, and like in Forza Motorsport 7, can be seen when racing in chase-cam through the side-windows and the back-window. Overall, car interiors look great in Forza Horizon 3 on Xbox One X, and they naturally look fantastic on the outside, too. Forza Horizon 3 also offers the ultimate collection of automotive lust for open-world racers, featuring an impressive number of over 350 Forzavista cars in the base game without any Car Packs or downloadable content included in that figure. All cars have been fully-modelled and detailed, built with 4K in mind, and under the pounding heat of the Australian sun, they just sparkle. The detail on Forzavista models is unprecedented, and in native 4K resolution, they can be truly appreciated. It also benefits community-made liveries, too, which render at a higher detail level in 4K. They’re still not fully-detailed in comparison to the default colours in the game, but it’s a noteworthy improvement nonetheless. Car models in Forza Horizon 3 look better than ever, especially with improved shadows. Overall, the visual improvements made to Forza Horizon 3 on Xbox One X take full advantage of the level of refinement and definition that 4K brings. Reflections are sharper and clear, allowing you to make out the details reflected on the surface of your car’s paintjob and in the wet surfaces on the roads after rainfall. The improvements made to anisotropic filtering improves the detail visible in environment textures, particularly on the roads themselves, and the increased render quality of other cars on the road make them look almost identical to yours when it comes down to details. It results in a bright, colourful experience, and one that has become a showpiece for the Xbox One X. 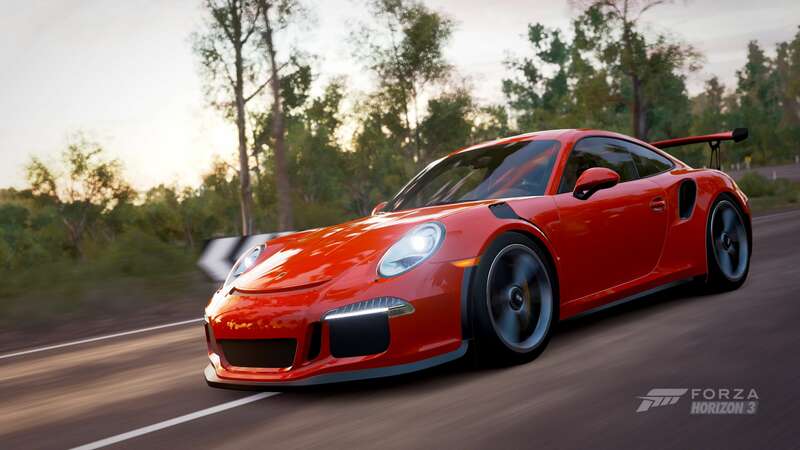 The combination of these visual features with 4K resolution and HDR is really something special, but it does come at the cost of a silky-smooth 60fps experience – something which fans had hoped would be included in this Xbox One X Enhanced version, especially those still playing on 1080p displays. I had hoped myself that Playground Games would include an optional Dynamic 4K/60FPS mode like The Witcher 3: Wild Hunt and Rise of the Tomb Raider that scales the game’s resolution to maintain and prioritize framerate and gameplay fidelity. If the resolution scaled above Full HD, it would also result in the added benefit of super-sampling for 1080p TV owners, whilst 4K TV owners like myself who want all the visual bells and whistles prioritized could enjoy a Native 4K/30FPS mode like we have today. The price for Forza Horizon 3 at Native 4K? 60fps. It would also be taxing on Xbox One X's CPU. Regardless, this is still an excellent Xbox One X Enhanced Update, and one of the best we’ve seen yet on the console. 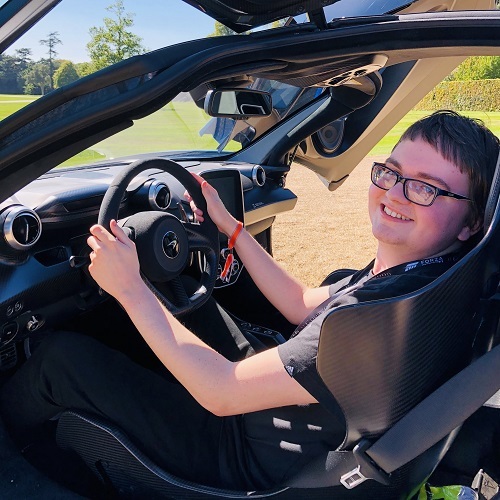 The improvements made to motion blur do result in a smoother gameplay experience than before, as the increased level of motion blur quality makes driving appear far smoother and more in line with what we have in Forza Motorsport 7. It’s still no 60fps, and it likely won’t satisfy those who care about its benefits, but it’s still better than nothing, and it does offer the smoothest gameplay from the Forza Horizon series yet on consoles. It’s also worth noting here that throughout my testing across the main open-world, Blizzard Mountain, and Hot Wheels, Forza Horizon 3 has run at a rock-solid 30fps without any performance dips or inaccurate frame-times, despite the odd hitch here or there. However, the issue with static shadows casted from trees in the Rainforest “hopping” every few seconds across the surface remains noticeable as they’re baked into the open-world and not dynamic. Furthermore, there’s still some visual pop-in in the distance that can be spotted if paying attention, but it’s still a vast improvement on Xbox One X overall. Revisiting Forza Horizon 3 on Xbox One X has been wonderful; the upgrades make it feel like a new game. Revisiting Forza Horizon 3 on Xbox One X has been nothing short of wonderful. Not only are the visual upgrades on offer just incredible, but the fun and diversity here cannot be found anywhere else. It’s so uniquely brilliant, addictive, and it remains fresh – even more than a year after it’s original release. 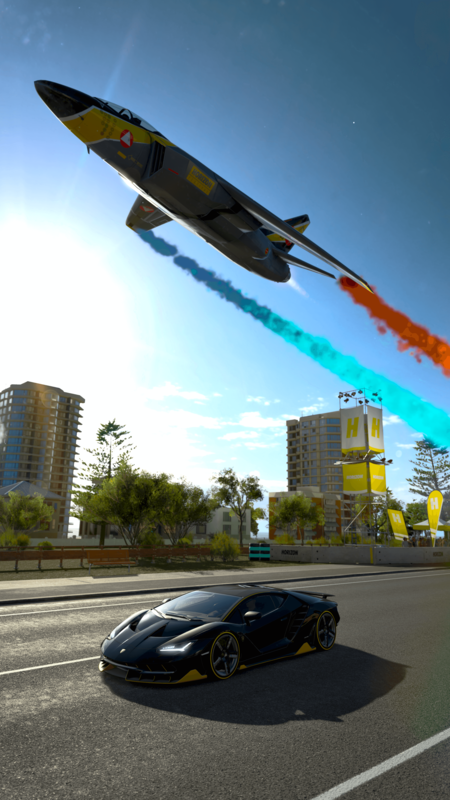 From replaying the excellent VTOL Jet Showcase Event across the city streets of Surfer’s Paradise to beating championships and street race events whilst knocking out the remaining challenges in the Bucket List, there’s been no shortage of fun in Forza Horizon 3 – except this time, it’s all in gorgeous 4K resolution with improved graphical features and visual fidelity. 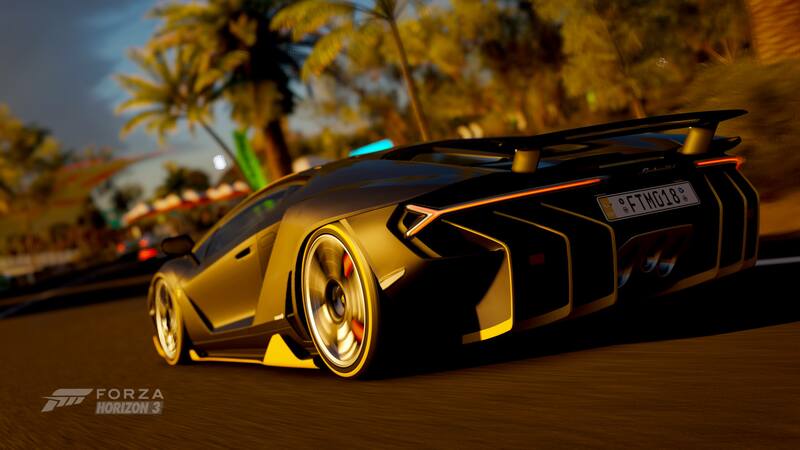 The Xbox One X Enhanced version of Forza Horizon 3 is the best one yet – offering the most visual prowess of any open-world racing game this generation. With more than 350 incredibly-detailed Forzavista cars and the beautiful world of Australia at your fingertips, Forza Horizon 3 sets the bar when it comes down to its outstanding efforts in gameplay, exploration, and of course, fun. It was a triumph when it first launched, and it retains the open-world racing crown with this latest version more than a year after release. It’s a real fan-service. If you haven’t already discovered what the Horizon Festival in Australia has to offer, then there’s no excuse anymore. Forza Horizon 3 on Xbox One X is a pure triumph, and the best 4K visual showcase out there.